Cost to install a shower varies greatly by region (and even by zip code). Get free estimates from shower door and enclosure contractors in your city. Cost to install a shower varies greatly by region (and even by zip code). Get free estimates from shower door and enclosure contractors in your city. The average cost of instaling a shower is $930 - $2,000. How much does it cost to install a shower? The majority of adults living in the United States today use showers rather than tub baths to cleanse themselves each day. Showers are quick, easy to use for those with disabilities, and use substantially less water than a bathtub, making them a greener solution as well. Shower stalls come in many sizes, shapes, and materials. The most common and easiest to install is the prefab unit, 36x36 inches in size. Most homeowners spend between $815 and $930 on having this unit installed in their homes. A shower is made up of several components including the pan, the walls or surround, the plumbing, accessories, and what you use to hold the water back from the rest of the room. 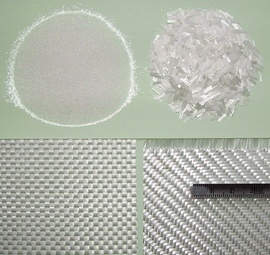 Shower walls or liners come in many types of material. Ideally, you want a material that is water resistant or that can be easily made water resistant. 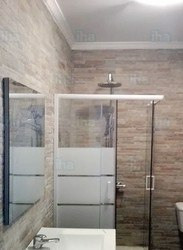 Prefab stalls come in acrylic, cultured marble, and fiberglass 1, with few differences in price between them, most people pay between $400 and $600 for a 36 inch stall in any of these materials. Neo-Angle: meant to be installed in a corner, the neo-angle shower has a straight front edge. Tub/Shower combo: an alcove-style tub with a shower surround above it. Walk-in shower: a stall shower with only a curb separating it from the rest of the room. No barrier shower: a stall shower with no curb to allow for easier accessibility. Wet room: in a wet room shower, the bathroom has no division from the shower itself. A pressure balancing valve uses one handle. As you turn the handle the water gets hotter. It works by sensing changes in water pressure from the hot to cold lines and will swing to close off the line with more pressure to keep the two systems balanced. This system is less expensive both to purchase and install, but gives less control over your shower. A pressure balancing valve system will cost around $150-$400 for the complete set and trim. 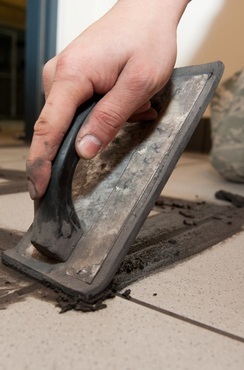 Installation takes about two hours at a cost of $45-$65 an hour, for a total cost of $90-$130. Thermostatic valves use separate handles for water temperature and water volume. You set the temperature of the shower to an exact degree, then use a separate valve to control the flow. In a thermostatic shower, you can have multiple water sources, each with its own volume control, allowing you to turn on one or all at once. This system is more expensive to purchase and install, but gives very precise control over your shower. Thermostatic shower valve kits complete with trim cost around $400- $1,200 and take three to four hours to install at a cost of $45-$65 an hour, for a total cost of $135-$260. All-in-one shower stalls come with a built in pan or tray, which is the bottom or floor of the shower. However, if you plan on using tile, slab, or custom walls for your shower, you will need to purchase a separate shower pan 3 for the floor. Acrylic, ready-made pans, which are easy to install and left as is: $200-$500. Ready-to-tile pans, which are quick and easy to install, and are ready for the tile of your choice: $500-$800. Custom pans, which are built on site by your plumber and may be made of metal sheeting, concrete, or waterproofing materials $45 - $65 an hour, plus materials ($50+). Expect a 36x36 inch shower pan 3 to cost at least $650, up to as high as $1,500 if replacing an existing pan or using luxury materials. All shower pans 3 are designed to slope to the drain. 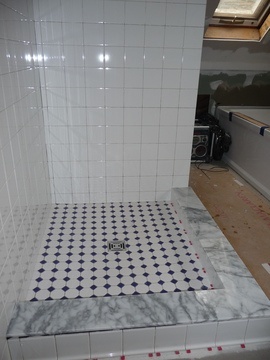 For pans which will be tiled, this means that the tiles must be able to accommodate that slope without cracking. For this reason, any tiles installed on the pan must be 2 inches or smaller. Not all showers need or use doors. Some use curtains, while others use stationary panels, and some showers are installed in wet rooms that have no way to contain the water at all. However, the majority of showers do use some type of door. Many prefab shower stalls will come with a built-in 4 door, but others will need the door fitted separately. 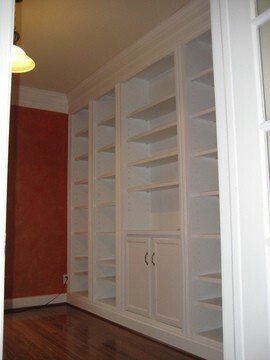 Any custom shower will require a custom-built door to match to get the exact fit. 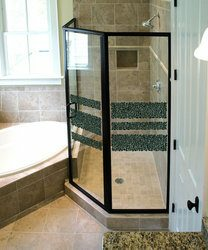 If a shower door isn’t being used, and you are not using a wet room, then a shower screen may be necessary to contain the water. The term “shower screen” refers to any material used to contain the water. In some cases, a sliding glass door or a fixed panel can be referred to as a shower screen, but so can a shower curtain. In some areas, folding shower screens are also available. These are accordian-like panels that fix to the wall and pull across the shower. They are uncommon and may be difficult to find. Some of the nicer, glass versions typically cost around $400-$700. The installation and labor costs when replacing a shower will vary widely, depending on the type of shower you are having installed. A prefab acrylic shower stall is a fairly straightforward install that can be completed in about three to four hours. After the plumbing is roughed in, the unit is set in place and screwed into position on the flanges at the top and sides. 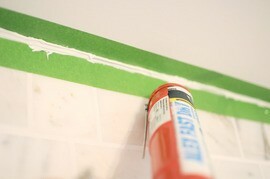 Caulk 5 is used to fill the gaps, and the drain is set. The trim for the valves, showerhead, and other accessories are installed last. Typically, the cost of labor to install a shower stall is around $300 to $500. A custom shower in tile or slab will cost considerably more in labor, up to $2,000, and can take two to three days to complete. 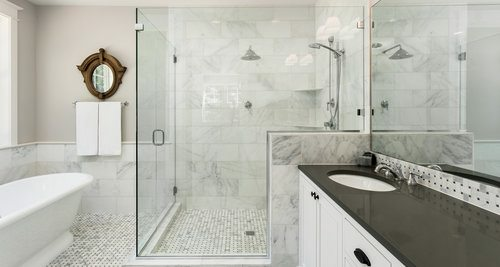 It is generally recommended that at least one bathroom in a home contain a tub or a tub/shower combination to improve resale value and potential. Bathtubs make bathing children easier and add versatility to the home. Showers use less water, however, making them more environmentally friendly. They are also faster and easier to use, as well as less expensive to install, $815-$930 vs. $1,100-$1,800. 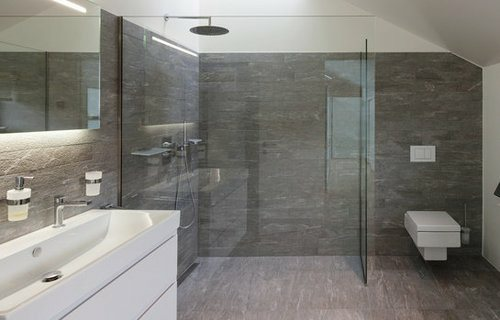 For homes with only one bathroom, it is usually recommended that a tub/shower combo be installed to gain the benefits of both. The shower stall is not the only component that requires purchase or installation. 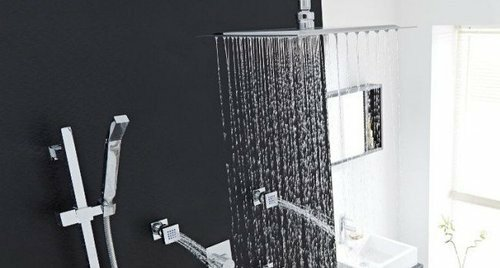 There are numerous other items that are either necessary or optional that can be included in the shower installation as well. If you’re having a new shower installed, it may be a good idea to upgrade the bathroom fan to accommodate the steam. Bathroom fans cost around $350-$400. If you are having a performance shower installed with more than one shower head and body sprays, you will likely need a hot water tank upgrade as well. New heaters cost around $600-$800 installed. If you want a full body shower, consider having a performance shower installed, which includes a thermostatic valve, two shower heads, and three body sprays. This will increase the cost of the shower by at least $2,000. You can have steam added to any fully enclosed shower for an additional $1,000 for the unit, to, enhance your experience as well. If you are having an electric shower or a steam shower installed, you will need the services of an electrician as well, at a cost of $65-$85 per hour. If you are replacing an existing shower, you may find water damage or mold behind the old shower if it was not properly sealed and waterproofed. Mold remediation services start around $500, while water damage restoration costs begin at $2,700. If the plumbing or wiring in your bathroom is old and does not meet current regulations, it may require more extensive replacement. Check with your local government to find out what the current codes are in your area. If you’re looking for a spa style shower, you may want to consider adding steam, which can increase costs by $1,000 for the unit, and an additional $2,000 to fully enclose the space. 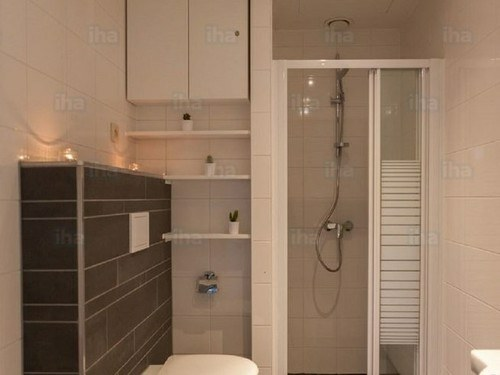 Or, you can also consider a performance shower with multiple body sprays at an additional cost of $2,500 for materials. When considering steam versus performance showers, be sure to also consider whether you want something relaxing (steam) or invigorating (performance) as your end result. The cost to replace a bathtub is around $2,500. How much does it cost to put in a shower? The average cost of a shower stall installation is between $810 and $930. How much does it cost to put in a tile shower? 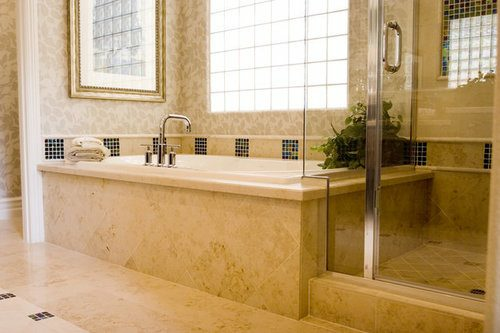 A ceramic tile shower costs around $1,600-$2,120. How do you install a shower base? Acrylic shower pans 3 are installed by screwing the flange down to the surrounding ledge. The average cost to install new shower doors is between $600 and $900. How much does it cost to remodel a shower? The cost to install a new acrylic shower is around $810-$930, while the cost of a new ceramic shower is around $1,600-$2,120. Tear out of the old shower may cost around $500-$1,000, depending on existing materials. How much does it cost to install a shower in my city? Cost to install a shower varies greatly by region (and even by zip code). To get free estimates from local contractors, please indicate yours. The cost guide has been remade, adding more information about the project, various options, and cost updates. 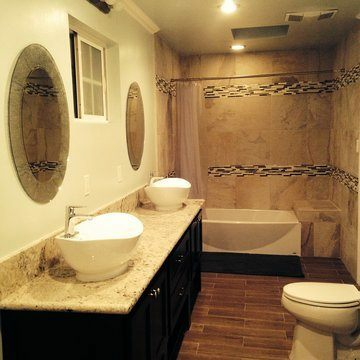 The sections "Surround," "Layouts," "Shower mixing valves," "Shower pans," "Types of doors," "Shower screen," "Installation and labor," "Shower vs. bathtub", and "Accessories" have been added and there is now more detailed information about the different options, possibilities, and price ranges for this project. For example, you can find information about the parts of a shower, the installation process, and differences between shower and bathtub installation. You can also find new tables highlighting the types of surrounds, layouts, doors, and accessories. Moreover, new options have been added on enhancements such as installing a bathroom fan, performance showers, new water heaters and steam showers. The "Additional considerations" section now offers information about mold remediation, water damage repair, and local codes. A "FAQ" section has been added, where you can find other information that may not be found in other sections.